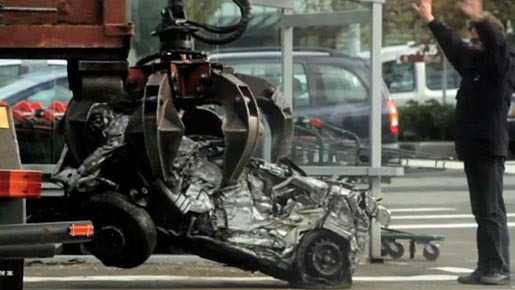 Europcar France ran a popular campaign in 2010 using crushed cars to raise awareness of renting rather than owning cars. The cheeky campaign developed an elaborate prank involving an elaborate hidden camera video, a car crushing company, a radio station, and some very angry individuals. The Crush Hour campaign was developed at Ogilvy & Mather, Paris, by executive creative director Chris Garbutt, creatives Emmanuel Bougneres and Benjamin Dessagne, agency producer Antoine Bagot, head of digital and branded content Frederic Levron. Filming was shot by director Gustav Johansson via Moonwalk, Paris, with post production done at Nightshift. Music was produced at Studios Apollo.